29 Side Hustles You Can Start Today - CreatingBeautifully.com - start and grow an online business you love! 29 Side Hustles You Can Start Today - CreatingBeautifully.com - start and grow an online business you love! My favorite online side hustle is blogging. It’s something that almost anyone can do, with virtually ANY topic or subject, and make money. One thing I will say about blogging: in most cases it’s a long-game. 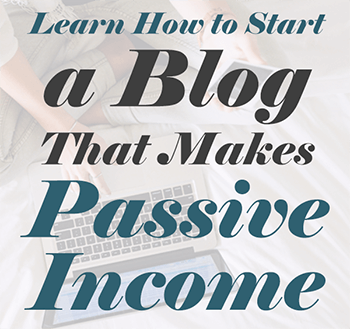 If you start your blog tomorrow, there is a chance you won’t see any income for months. But, if you stick to it, there’s also a good chance that you could make some significant income in the long run. Just search Pinterest for “blogging income reports” and you’ll see what I mean. I’ve written an extensive tutorial on starting a blog that makes you passive income right here. Most people make money affiliate marketing with a blog or website, so this one kind of goes hand in hand with blogging. But there are ways to make money with affiliate marketing without a blog. Typically that’s with some sort of social media following, on Pinterest, and/or with an email list. If you’re not familiar with affiliate marketing, in a nutshell, you get paid a percentage, a flat fee, or other commission type, when you introduce a customer to a certain product or company and that customer buys something from them. The thing is, there are rules when it comes to affiliate marketing – both in the country you live in, and within each company’s affiliate policies. Be sure to follow those rules! If you want a quick primer on Affiliate Marketing, check out my Skillshare class on the subject by clicking here (it’s free for the next 2 months!). But if you want to know basically everything there is to know about affiliate marketing (especially some unique ways to actually make a lot of money!) I recommend Making Sense of Affiliate Marketing by Michelle Schroeder-Gardner who makes $50,000+ each month with affiliate marketing. Creative Market is a website where independent artists, designers, and more sell things like stock photography, fonts, stock illustrations, website templates, marketing material templates, mock-ups, social media templates and so much more! If you know how to make those types of products and have a cohesive line of work to sell, you could sell them there, passively, as a side hustle. Pretty much everyone has heard of Etsy, but in case you haven’t, or haven’t considered starting a shop there, Etsy is an online marketplace where (mainly) handmade goods are sold. You can also sell digital products (like the things you can sell on Creative Market, as well as things like ebooks, scrapbook/collage printables, printable art/planners/calendars/etc. ), craft supplies and vintage products. In fact, before we were married, my husband and I had a thriving vintage business on Etsy. Etsy makes it easy to get started: there are no upfront fees, other than a .20 cent product listing for each product you want to sell. And if you use this affiliate link, you’ll get your first 40 Etsy listings for free! So if you’re an artist, maker, crafter, designer or vintage seller, Etsy is an easy and low-cost side hustle you can start today. Ebates isn’t really a “side hustle” per se, but it’s a super easy way to get cash back pretty much any time you shop online. All you have to do is sign up, add a website browser extension, and shop online if, when and how you normally would. When you’re at a site that Ebates offers cash back from, a little notice will automatically pop up. You can choose to accept the cashback offer or not (but why wouldn’t you!?) and it’s automatically credited to your account. At the end of the month, Ebates deposits all the cashback you’ve earned up until that point. Ibotta is a lot like Ebates, and they even have an app for when you shop in person. But you can also shop online at places like Amazon, Groupon and tons more, and get cash back with your purchases. Sign up now and get $10 in your account right away! More #easycash! Back to more of a real side hustle (no spending involved)! SwagBucks is a super fun and easy way to make a little extra cash and/or gift cards. SwagBucks actually offers a variety of ways you can earn: by watching videos (seriously! ), playing games (for reals! ), taking surveys, and more. You can sign up for SwagBucks right here. Another way many bloggers and online businesses make money is by teaching what they know. And platforms like Thinkific make it really easy to create a course to sell online! What could you teach? Well, other Thinkific teachers are offering courses on everything from online marketing, branding, and social media marketing, to other topics like cooking, yoga, illustration, origami, and so much more! You can definitely get creative here. 9. Print on Demand websites like RebBubble, Society6, Etc. On sites like RedBubble, Society6 and Zazzle (among others! Check out this list of many more!) you can upload your artwork and sell it on all kinds of products, from art prints to t-shirts, mugs, shower curtains, laptop sleeves, bags, totes, and tons more! Freelancing is a fairly common side hustle, especially for those who are already working a 9 to 5 job. If you’re wondering how to get started in freelance writing specifically, I suggest checking out Because Money Matters: How to Earn More Money as a Freelancer in a Gig Economy (Volume 2). PayYourSelfie seriously pays you to take and post selfies! (And/or pictures of food and other things, too!) What the what?! It’s true! I can’t say you’ll get rich with this one, but it’s a side hustle, after all! Fiverr is a website where freelancers can sell all kind of services, starting at just $5 (hence the name!). Although $5 or $10 may not seem like a lot, it’s a good starting point for a lot of freelancers just looking to get started. And because most of the jobs offered are typically small and quick, your per hour rate can still be pretty decent! eBay may (??) be past its heyday, but there are still plenty of people buying and selling items on there! Check out this “rags to riches” tale of one eBay seller making $4000 a week on the platform. There are a few different ways you can sell on Amazon, including, but not limited to: FBA or “Fulfillment by Amazon” (check out Amazon Selling Blueprint – How to Find and Launch Your First Private-Label Product on Amazon in 90 Days or Less), via Shopify, Amazon Merch (Merch Life: An Introduction to Using Merch By Amazon to Design Shirts and Make Money), and more! One of the cool things about people starting online businesses is that they often quickly realize: they need help! This is where a virtual assistant comes in handy! Virtual assistant work from their home (or anywhere with a computer and wifi!) and help online business owners with things like: email, bookkeeping, social media, customer service, etc. If you’d like to learn more about becoming a VA, I recommend 30 Days or Less to Virtual Assistant Success! You can create your own ecommerce site with Shopify, and either create and ship your own products, use a drop-shipper like AliExpress that will make and ship products for you, or use Printful to print your designs on products and ship them for you. Podcasting is a quickly growing side hustle (or even a full-time business for some!) If you like to talk (and/or interview others) around a specific subject, podcasting just may be the side hustle for you. One of my all-time favorite entrepreneurs and podcasters, Pat Flynn, has a free tutorial on starting a podcast right here. I mentioned earlier that I used to have a thriving vintage business with my husband before we got married. One of our favorite things to buy and sell was actually books! That was because, early on, I found an old, 1940’s decorating book at a thrift store for $1, and ended up selling it for $50! I don’t know about you, but a 50X return is something I’d like to do all day! But it doesn’t have to be vintage books, sites like Book Scouter help you sell textbooks, and you can sell new or vintage books on Amazon (How to Sell Books by the Truckload on Amazon! : Master Amazon & Sell More Books!) and/or eBay. So whether you want to drive full-time or part-time, being a LYFT driver seems like a great side hustle! Use this link and for a limited time, earn a $250 bonus after 100 rides when you become a Lyft driver. Terms apply. With AirBnB you can rent out your whole house, a room or rooms in your home, a beach house or getaway home you don’t live in full-time, etc. My hubby and I are planning to buy a beach house that we can rent out via AirBnB most of the year, but also use for our own coastal getaways. But I know people who rent out their own places on AirBnB, too! If you love animals and love getting outside, you could start a dog walking and/or pet sitting business. I have a friend who actually combines house-sitting and pet-sitting and literally lives in other people’s home full-time while taking care of their animals. So she not only gets paid for taking care of the house and animal(s), she lives 100% rent free! You can sign up with sites like Rover to help you get your first gig dog walking. I mentioned house-sitting with pet-sitting, but not every house has pets, and sometimes people want a reliable, trust-worthy person to stay at their home while they are away. That person could be you! (And you could live rent-free!) Learn more about house-sitting as a business here. 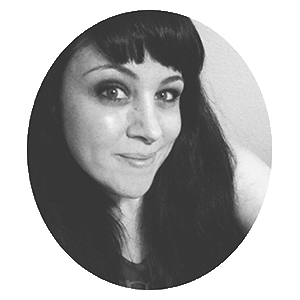 Writing doesn’t have to be something you do for someone else, like freelance writing from the online list above (#. You can also try your hand at Writing Fiction Books and Writing Non Fiction Books. And if you have big dreams of writing a film, I highly recommend the book, Story: Substance, Structure, Style and the Principles of Screenwriting. Do you love kids? Or do you admire and respect the older generation? Why not try child and/or adult care? While this type of side hustle is not always easy, it is very rewarding. Check out SitterCity for available positions today! Have you ever considered a career in wedding and event design? Wouldn;t it be so fun to throw parties for a living?! If you’re lacking in experience, you can become an Accredited Event Designer with IWED Global, the world leader in event design. Try it for yourself and get 3 free sample lessons from IWED Global online. Click here to learn more! If you’re an inventor or other “idea person” you can actually license your idea(s) to other companies. There are many ways of doing this, but a few examples might be: a person creates a board game and licenses the idea to a game manufacturer. I knew a bartender that came up with drink recipes and licensed them to large chain restaurants. Every time someone order one of “his” drinks, he got paid a nickel. It may not sound like much, but across 100’s or even 1000’s of restaurants, those nickels add up! Or a gardener that thought up a better way to weed her flower beds sold the idea to a big chain home improvement store. If you’re filled with great ideas, check out “One Simple Idea, Revised and Expanded Edition: Turn Your Dreams into a Licensing Goldmine While Letting Others Do the Work“! Have you ever dreamed of being in the movies, on TV, in plays, or singing on stage? This company is now Casting ACTORS, SINGERS, DANCERS and MODELS for over 1,000 TV shows, major films, Broadway shows, and more. (You don’t have to be in L.A. or New York, either!) CLICK HERE to find an acting job (for you and/or your kids!). 28. One pretty weird side hustle: Shrimp Farming! I have one bonus idea for you, that can be done online, offline/in person, or both! And that’s taking surveys, completing interviews, giving feedback and more with Respondent. Some “remote” offers include: this 90 minute research interview for photographers that pays $150. Or this one where they want to interview people who buy products for their businesses (and get paid $125 for 60 minutes of work.) And many more! There you have it! 29 Side Hustles You Can Start Today! (Plus a bonus hustle!) Will you be trying any of these? Let me know in the comments below! Wow! What an extensive collection of side hustle gigs. Great ones too! Love this. What a thorough list many of these are new to me! Wow, 29?!! (well, 30!) That is SO many ideas! I’m a little overwhelmed but I do the blogging and podcasting things and have done well with those. Nowadays you can even just be a huge Instagram influencer and get paid like a blogger. Of course, it helps to have thousands of followers, which as you noted about blogging, takes time! So fun though!